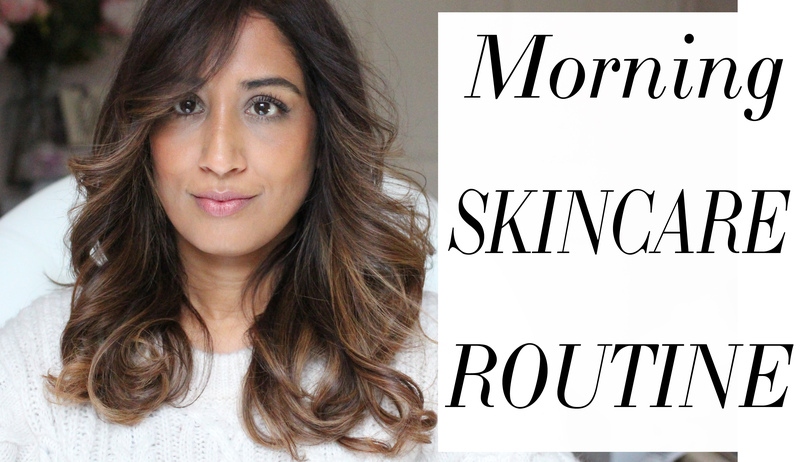 As much as I love my evening skincare ritual (coming next week), I have to say I love my morning skincare routine just as much. There’s something about methodically going through the different products and treatments I use that is almost meditative and sets me up for the day, not to mention the fact that it ensures my makeup just goes on like a dream, “sits better” on my skin and lasts throughout the day if I’ve prepped the skin properly. If you’ve read the previous post on why I think sometimes when it comes to skincare, ‘less is more’, you’ll know that for the first few weeks of this year, I was hardly using any products at all. But moving on, give me all the lotions, potions, serums, essences, elixirs…. you get the picture! Whilst not going down the path of the 14 or 15 step Korean skincare regime (who has time for that anyway?) I do tend to layer my skincare, so there are quite few different products I use, but I wouldn’t be without any of them. In fact, if I had time, I’d probably add in at least one more, but I’ll save for another time. Of course, if I’m going to the gym (or my current obsession with hot yoga classes) I don’t do all this before my workout – I’ll save this for after I’ve had my post-workout shower. On those days, a cursory cleanse or even just a swipe of some toner on a cotton wool pad followed by a simple moisturiser is all I’ll do before the workout. Click on the little YouTube icon at the bottom right hand corner so that you can watch in glorious HD and don’t forget to click to subscribe to my channel while you’re there. Any questions, let me know and I’ll be sure to answer them all.